The Jim Cherry Memorial Planetarium at Fernbank Science Center is a celestial theater in the round, utilizing the complex Zeiss Mark V planetarium projector in conjunction with SPITZ SciDome 4K Laser projection system. These technologies collectively create a stunning immersive environment, which guide the audience through the wonders of the universe. The 70-ft diameter planetarium, one of the largest in the United States, is dedicated to teaching and public enrichment. SCROLL DOWN FOR PROGRAM DESCRIPTIONS AND VIDEO TAILERS. *Schedules are subject to change. Please confirm program times on our calendar before your visit. Please be aware that programs start promptly as scheduled. Please plan to arrive and be seated prior to the scheduled program time. Planetarium lessons are given for schools throughout the school year. Join the discoverer of Comet 67P, Klim Churyumov, in the story about the origins of the Solar System and life on Earth. Meet the challenges of a 10 year long mission with Rosetta spacecraft and the “Philae” lander. "Explore" centers around the motivation for human travel to Mars, but the program presents and explains a much broader selection of science including the history of astronomy, geocentric and heliocentric models and the Kepler laws of planetary motion. With the world’s most powerful telescopes, we can explore more and more of the Universe. What we have found so far has surpassed expectations. Most stars have planets, and a huge diversity of different worlds is out there, just waiting to be discovered. 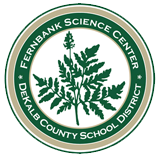 Presented live by a Fernbank Science Center astronomer, this is a guided tour through the constellations, planets, and events of the current evening sky. Ever wonder what it’s like to go to the Moon? The award winning children’s book, “Max Goes to the Moon” by Dr. Jeffrey Bennett, has been adapted to a planetarium show and takes the audience on such an adventure. Max (the dog) and a young girl named Tori take the first trip to the Moon since the Apollo era. 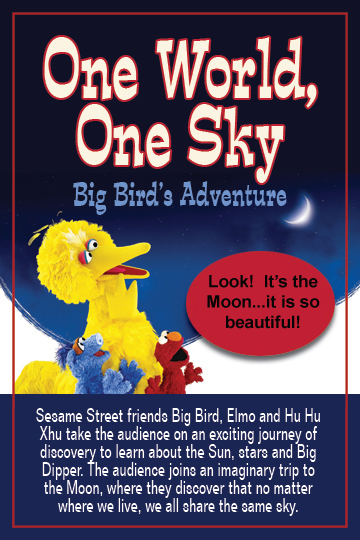 Big Bird, Elmo and their friend from China, Hu Hu Zhu, take viewers on a journey of discovery to learn about the Big Dipper, the North Star, the Sun, and the Moon. 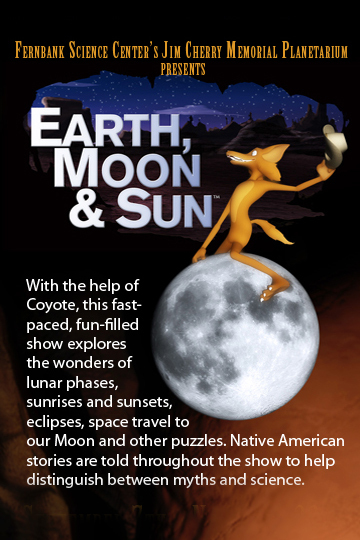 Explore the relationship between the Earth, Moon, and Sun with the help of Coyote, an amusing character adapted from Native American oral traditions. Black Holes takes you on a fully immersive journey through one of the most mystifying, awe-inspiring phenomena in the universe: a black hole.